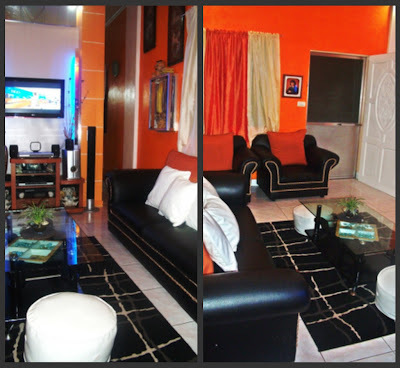 Home Sweet Home: Before And After! of steel and glass to tinted sliding glass windows with window grills. traditional box type to LCD flat screen TV. 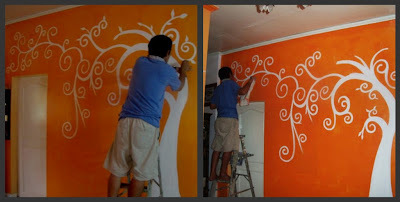 motif of bright orange and white. Total Expenses incurred for the "make over"
Wow! Ang ganda pala ng house mo sis! Labor of love and fruit of your labor talaga. I think it is all worth it. It's a family effort Sis!We all worked towards achieving what we actually wanted. I love interior decorating. It keeps me stress free especially pag nakikita kong maaliwalas ang bahay ko. I want everything to be pleasant to the eyes. Everytime I go back for a vacation, natutuwa akong makita na may pinupuntahan yung pinagpapaguran ko all through these years. hello! buti naman at you like orange. yay! yun ang ginawa ko eh. Please give me your email address para masend ko na sayo yung template at mainstall mo na. I hope that you'll like it! by the way, do you mind checking out on My Classic Neighbor? I really like the art-full wall. You have a talent for designing homes. Salat yata ako sa talent na yan. 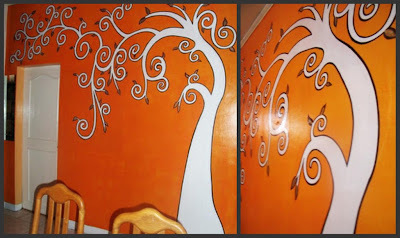 Buti na lang I have a sister na interior designer. I'll leave the designing to her. Ganda ng house nyo. Ang masasabi ko lang, God bless your home. WOW! Sobrang elegant Krizz. I love the new look of your new home. 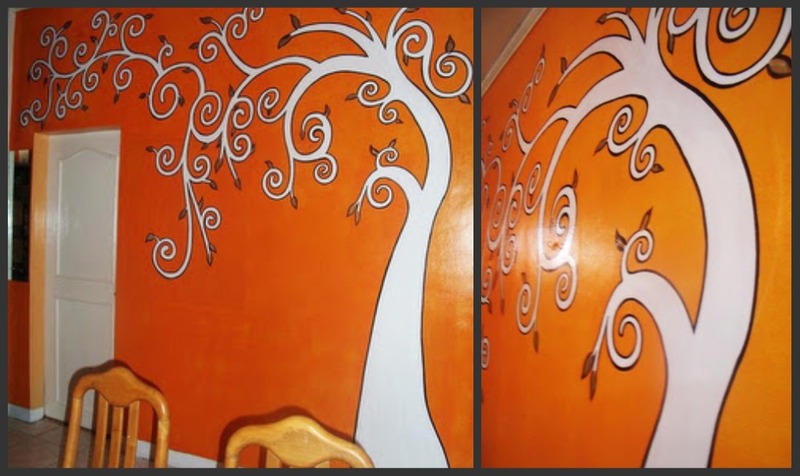 Your living room and Windy's have one thing in common- painted with orange :-) I think it's so cool. @ GbSb and Silver girl, thanks a lot! @ Chin, thanks a lot Chin! I'm glad that you appreciated our new design. Hilig ko lang talaga, actually ng buong family. Tulong tulong kami dyan. we consolidate all our ideas. Thanks for the visit Chin! Its so beautiful!! 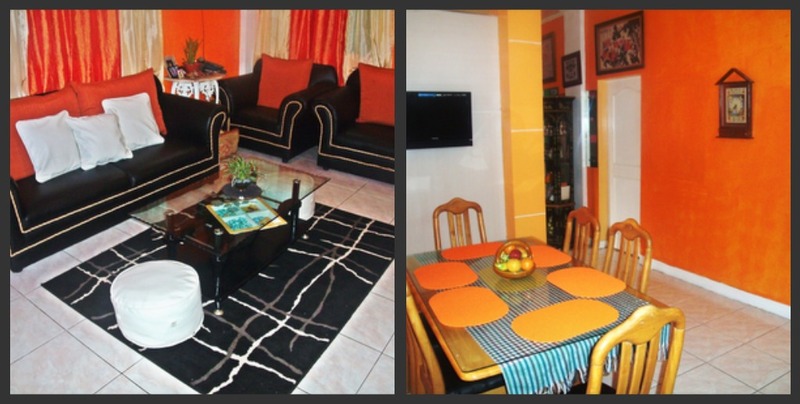 Kaya lang di ko pa afford magpa makeover sa house namin..
Php 100,000 is so nakakalula! Hope you can visit my OT entry and join my birthday giveaway. @ MC, Thanks MC...never mind, you can do it later or maybe you can find other options which is a way cheaper but still looks good. Creativity is the key! Thanks for visiting. @ January, thanks for the compliments Sis! I saw a lot of orange themed living rooms on magazines and I really told myself that I would apply it to my own house. Thanks God, it materialized. what a pretty house and looks homey too. Thank you for sharing Sis. Wow! you have a talent in decorating. How I wish I have that talent too, unfortunately no! Dropping some late LOVE FOR orange Tuesdays, hope that you can return the favor too. wow! bonggang make over mommy ah!